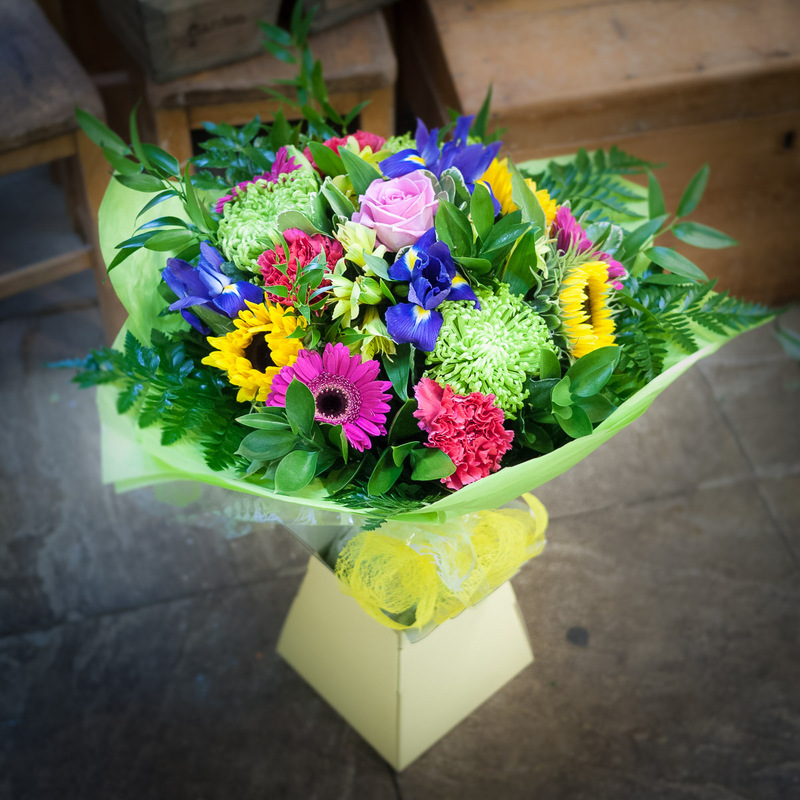 A striking mix of vibrant pink, yellow, blue and lime. Created in house this hand tied is available for local delivery only. Flower varieties may vary according to seasonal availability.